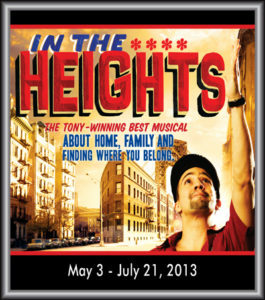 Winner of 4 Tonys & a Grammy, our regional premiere comes fresh from Broadway. Peek into the lives of a tight-knit community in one of Manhattan’s most vibrant communities, as they chase their dreams in a world that beckons with possibilities. Propelled by the rhythms of hip hop, Broadway tunes, and Latin music, this gripping story shares the universal tale of family, culture, neighborhood, and community- bringing joy to audiences of all ages and backgrounds!